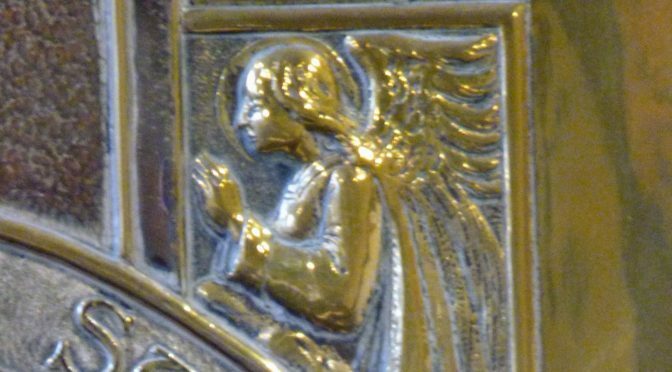 Last week’s photo was St. Joseph, a detail of the nativity picture on the Lady Altar. 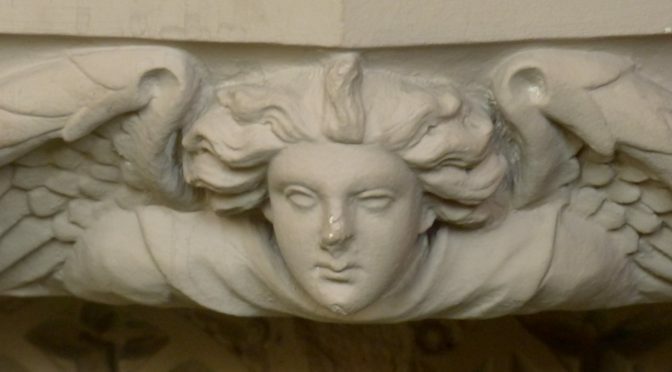 Last week’s photo was one of the angels supporting the font. 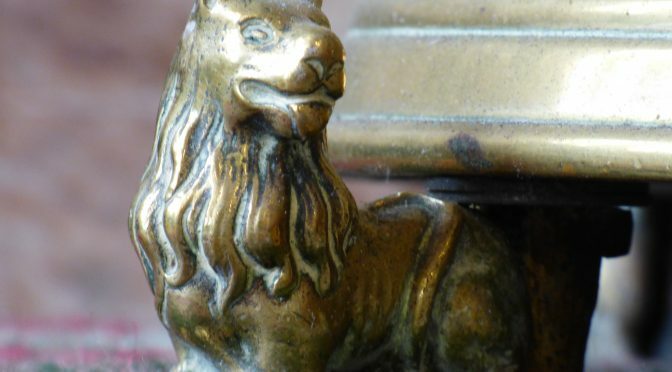 Last week’s photo was one of the lion feet of the large candlesticks which stand in front of the main altar. 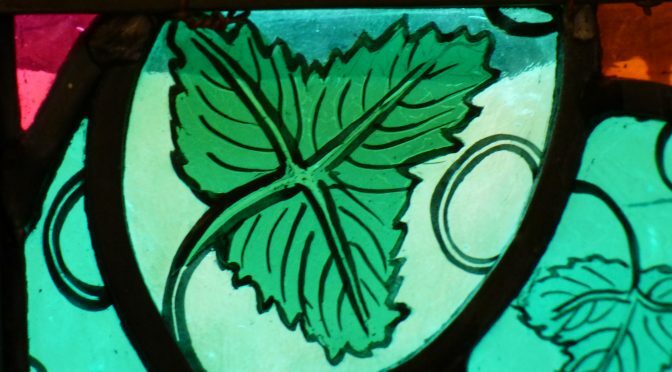 Last week’s photo was a detail of the window in the narthex, on the left as you come into the church. The window was installed in 1994 in memory of George and Agnes Finnigan. 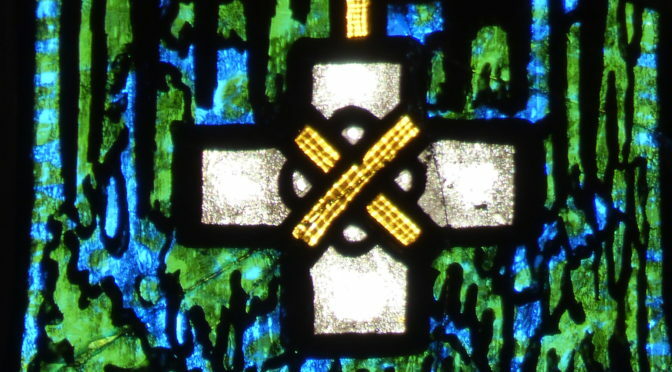 Last week’s photo was from the Harry Clarke window. 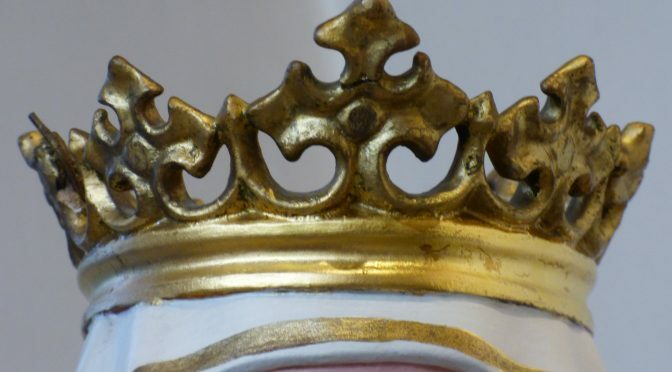 It’s a detail of the vestments worn by St. Cuthbert (top right). 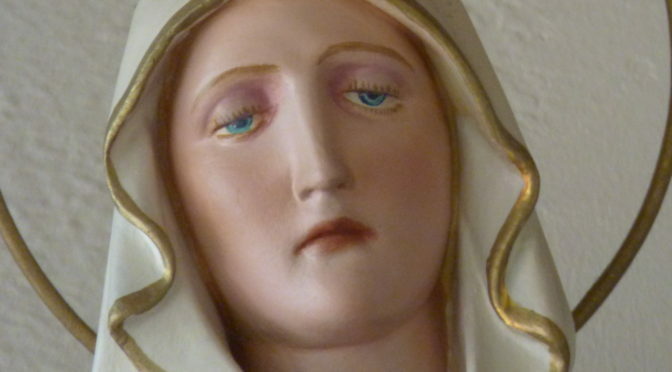 Last week’s photo was a detail of the statue of Our Lady at the front of the church, by the lady altar. Last week’s photo was the offertory table at the back of church, where the gifts of bread and wine are at the beginning of Mass, before being taken up at the offertory. 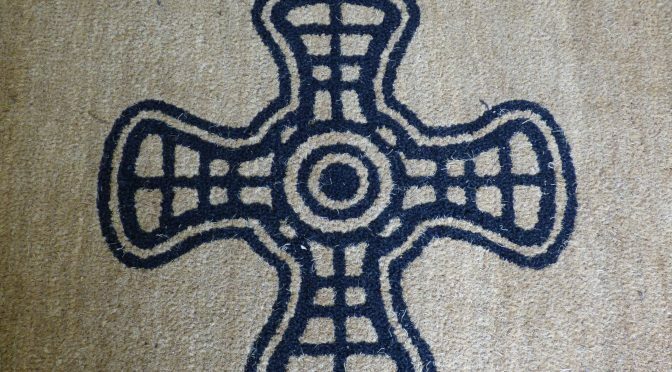 Last week’s photo was St. Cuthbert’s cross, from the new doormat in the church porch. 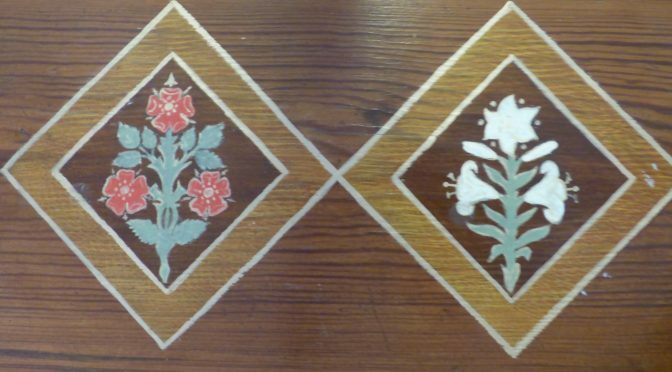 Last week’s photo was from the wooden panelling around the altar. 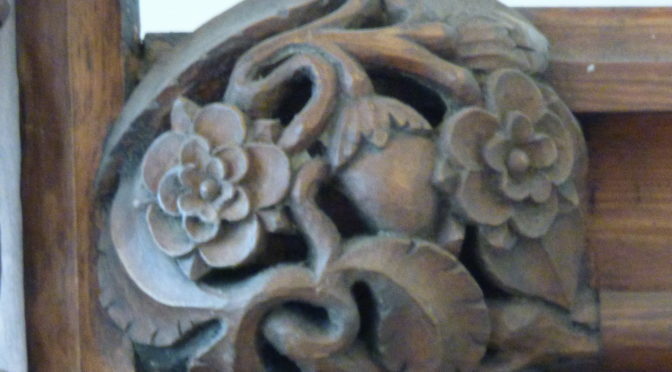 The detail of the panelling includes a lot of plants and fruit. 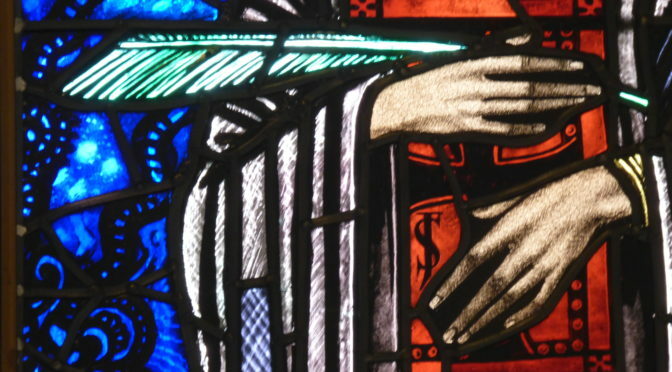 This small figure stands at the feet of St. William of York in the top left of the Harry Clarke window. 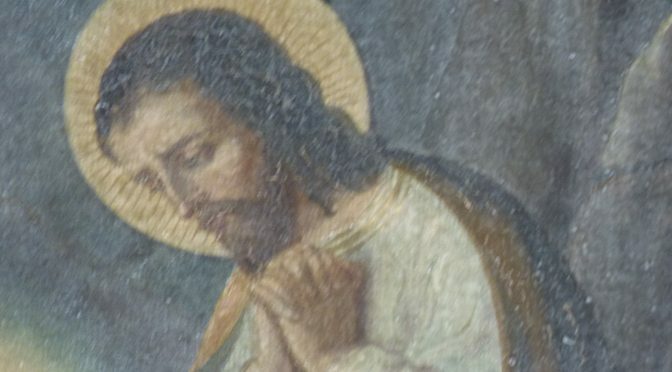 Although obviously a martyr, the figure has not been identified. 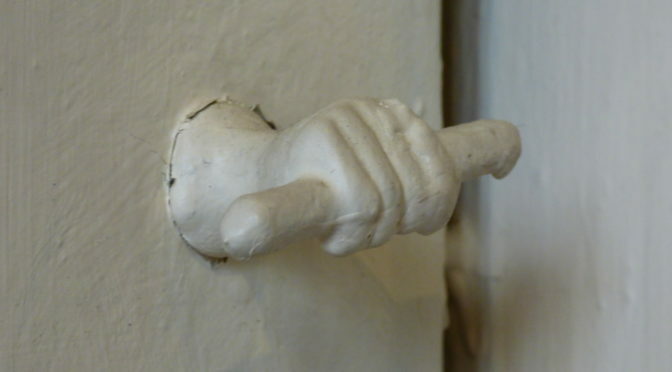 The small handles in the shape of hands are on the sides of the air vents on each wall of the church. Last week’s picture was the statue of Our Lady, standing at the foot of the cross, high over the main altar. 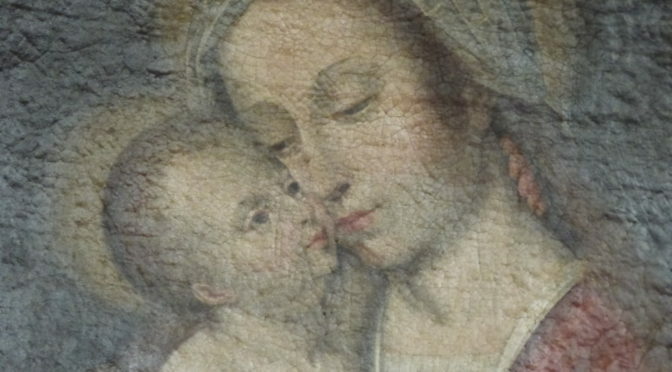 Last week’s picture was a detail from the painting which hangs over the altar in the Lady Chapel. 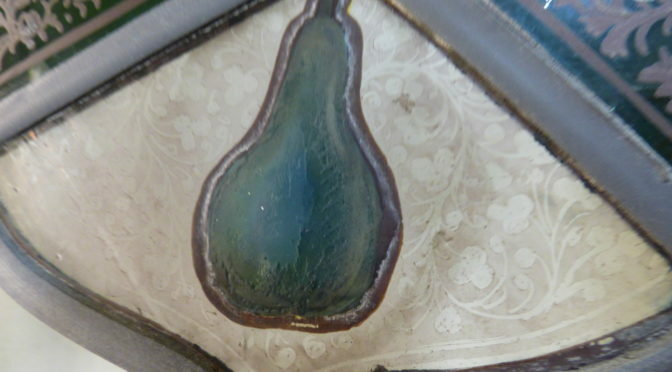 Last week’s picture was a detail from the Harry Clarke window. It’s St. Bede, in the lower left panel. As he is known for his writing, he is holding a book and a quill. 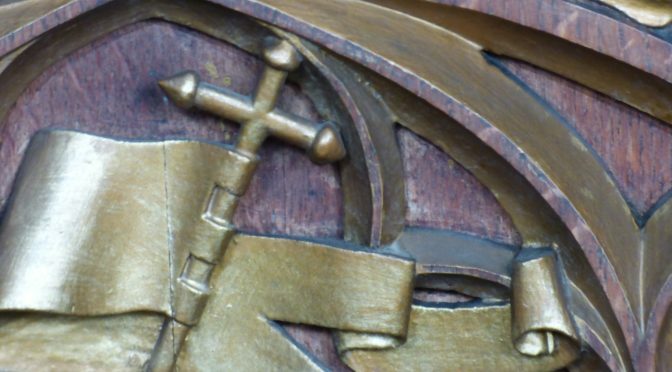 Last week’s picture was a detail from the door of the tabernacle. 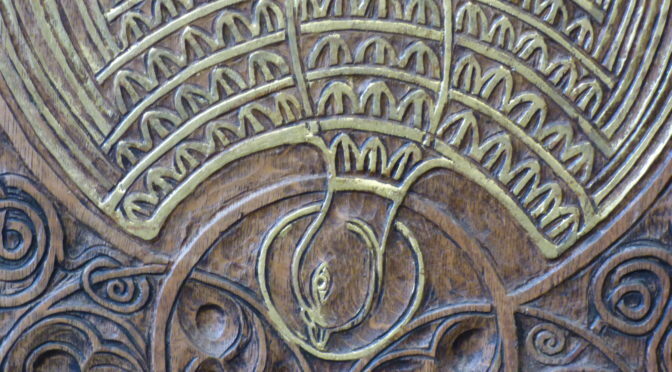 There are 4 angels around the central image of the pelican. 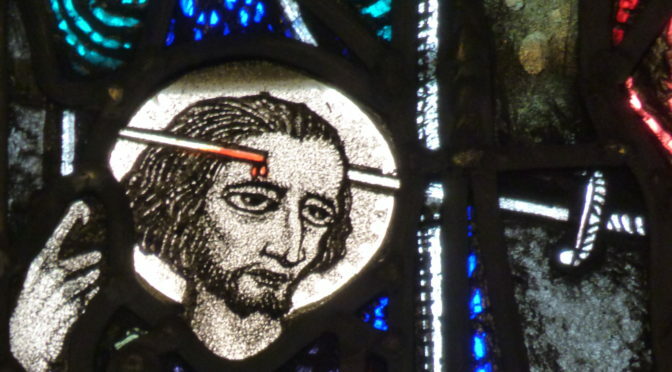 Last week’s picture was from the stained glass in the confessional. 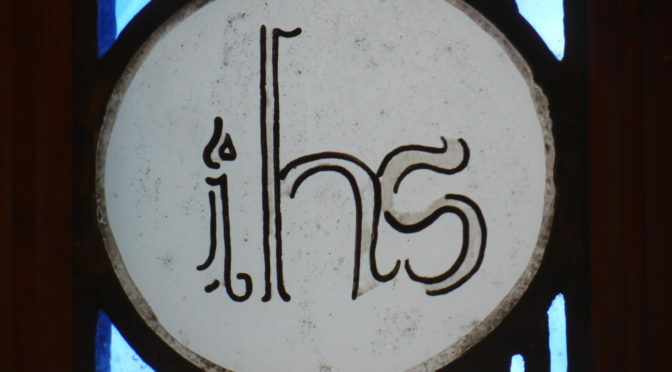 IHS are the first letters of Jesus’ name in Greek, and you can find them in several places around the church.